The major producing area of Liu'an tea is the Liu'an region in Anhui Province, while the best tea is produced in three counties: Liu'an, Jinzhai and Huoshan. Among these tea plants, the most treasured ones shall be those growing on Qiyun Mountain in Jinzhai County, therefore the Guapian produced in Jinzhai is also called the "Qishan Cloud Mist". 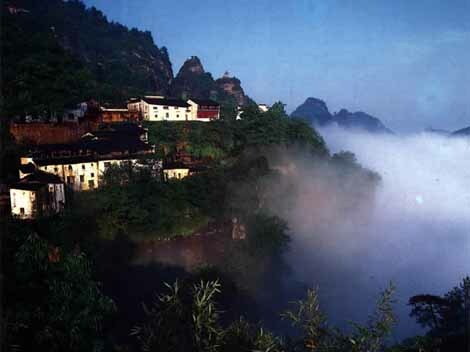 Located in Anhui Province, the altitude of the highest peak of Qiyun Mountain is over 800 meters. The mountain features numerous ridges and peaks, fertile soil, abundant rain fall and cloud and mist all the year round. The warm, humid and short-day environment with much diffuse light and the favor of mist and dew day and night together bring us a tea of the finest quality.